Applicable to all profession guild skills. Removes all training point and experience penalties for task trading. This is a pack of 10 vouchers. Can't find a suitable partner to practice with? Unable to find that stubborn ingredient? Trade in that task and try for a new one without having to worry about setting your training back and wasting precious time! 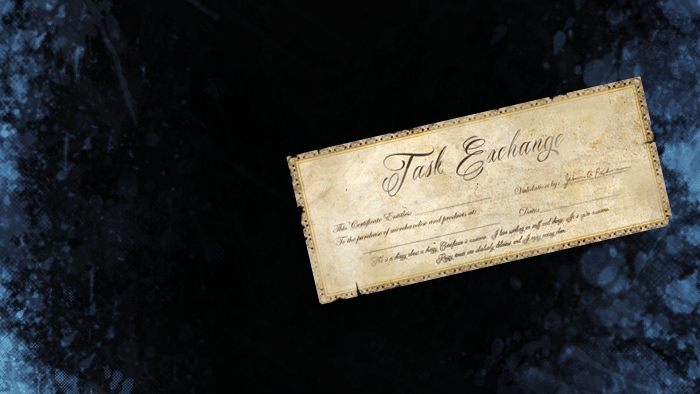 These vouchers prevent all training point and experience penalties for the next 10 task trade-ins. This is applicable for all profession guild skills (i.e. Warrior Guild, Rogue Guild, Cleric Guild, etc.). Appearance: "An Elanthian Guilds Voucher Pack"